What's cooler than robots? Intelligent underwater robots! While high-flying drone vehicles have been in the news quite a lot this year, a new generation of stealthy underwater drones have gone through an amazing evolution. Underwater robots, also known as Unmanned Underwater Vehicles or UUVs, have been around for a while. UUVs are basically any vehicle that's able to operate underwater without a human on board. Some UUVs need a human to directly control them, and are aptly named Remotely Operated underwater Vehicles or ROVs. 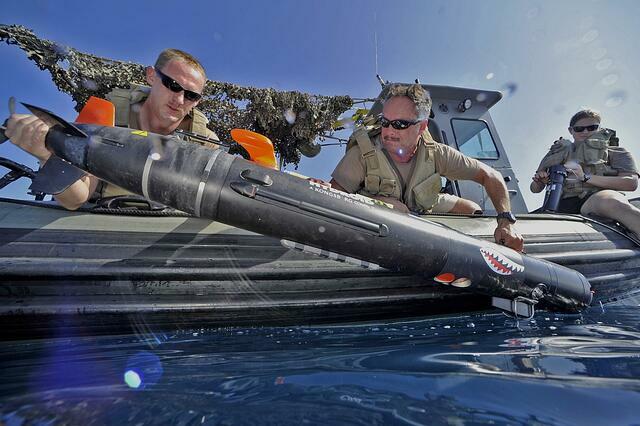 However, a new generation of intelligent unmanned underwater vehicles are now available. Known as Autonomous Underwater Vehicles or AUVs, and they have opened the mysteries under the sea, as no other underwater technology to date. AUVs have been around for a while, the first Navy UUV named SPURV was built in 1957, and versions of SPURV underwater vehicles have remained in use until 1979. This "Special Purpose Underwater Research Vehicle" was created to do only a small range of tasks, and like most earlier AUVs, it had issues with limited power and computing ability. In recent years AUV design and engineering has taken a giant step forward, assisted by new advances in higher-yield power supplies, greater computing technology, and breakthroughs in AUV materials. Today smart submersible robots serve a wide range of functions for Scientific exploration, Commercial applications, as well as Military use. There are so many fascinating autonomous underwater vehicle applications in Marine research, that it's impossible to cover them all in one article. Imagine exploring the ocean's depths down to 6,000 meters for Deep Sea Ecology/Seabed Investigation, navigating below the ice caps into hazardous areas to test for climate change, searching for sunken craft or lost civilizations, or making other Marine Archaeology discoveries! Today's AUVs have reduced the exorbitant costs of ocean exploration and sampling, while increasing the availability, quality and quantity of scientific marine data. One of the leaders in Marine Robotics is a company named Hydroid, who has revolutionized the abilities of unmanned undersea vehicles with their AUV named REMUS (Remote Environmental Monitoring UnitS). As noted in its name, REMUS is an expert at providing unique views of the undersea environment, and is especially suited to studying undersea life. The REMUS has provided valuable insight into the natural habits of fish, whales, turtles and other sea creatures. "SharkCam is a specially outfitted REMUS autonomous underwater vehicle (AUV) equipped with video cameras and navigational and scientific instrumentation that enable it to locate, track, and film a tagged marine animal, such as a North Atlantic white shark (great white). The vehicle is pre-programmed to home in on a signal from a transponder beacon attached to the animal and can follow it to depths of 600 meters (1,968 feet), depending on the vehicle, and in a variety of patterns and configurations." One of the most incredible sights provided by REMUS, is the occasional shark attack which occurs when a shark notices the underwater robot that is following it. This video provides a rare up-close look at one of nature's top undersea predators! 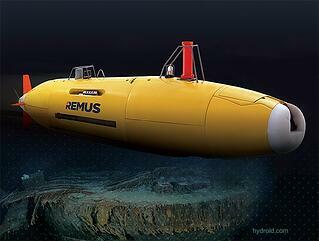 The engineering behind Hydroid's REMUS AUV vehicle is an amazing story in itself. Globe Composite Solutions is proud to have a role in the production of the REMUS, as the provider of key composite solutions used in its steering and communication shielding systems. Globe Composite designs and engineers a wide range of Composites for the Marine Industry, that stand up to the extreme demands of many environments - even unexpected shark attacks! Do the number of development projects on your "to-do" list exceed the available internal resources required to get the job done? Do you wish you had a second set of eyes looking at how to make a part perform better or cost less? Contact Globe Composite Solutions, we have a team of design engineers and chemists that can thoroughly assess your needs and creatively design (or redesign) parts to radically improve performance for your company.